It was a relief therefore to associate again with civilized Sri Lankans, who realized I was just seventeen and should not be expected to shack up with a young lady picked up on the Left Bank. Though my father was not present himself, I was treated with great kindness by the delegation, and in particular by Mr Navaratnam, who gave up an excursion to the champagne country around Rheims so that I could use his invitation. Seven years later, I joined a similar delegation in Berlin, which was when my father was able to save Mr Navaratnam when he collapsed suddenly with heart failure. He was then on the IPU Executive Council, and highly respected internationally – which was perhaps an advantage to the TULF in its efforts to highlight the ethnic problems in Sri Lanka, problems which the then government proceeded to exacerbate, with a corresponding increase in sympathy for Mr Navaratnam’s position. 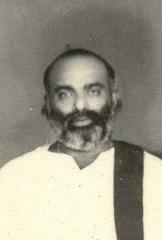 He however was, like the others in the TULF, sidelined when President Jayewardene’s principal response to the attacks on Tamils in July 1983 was to introduce legislation which, acceptable though it might have been in any other context, inevitably drove the TULF out of Parliament after the suffering their fellow Tamils had undergone. Mr Navaratnam, not in the best of health, gave up politics then and settled in Canada – thus escaping the fate of his senior colleagues who returned to Parliament in 1989 and were shot by the Tigers. Mr Navaratnam himself died relatively peacefully in Canada in 1991, having never come back. But the family did not forget the association, and when Mrs Navaratnam was finally able to return to Sri Lanka a few years back, and stay with us before going on to Jaffna, she very kindly gave me the watch which I still wear. Those sadly were the days when the Tigers were in the ascendant. In her husband’s time, moderate Tamil politicians agitated through Parliamentary means against political measures they wanted changed. Though there had been violence too against Tamils, it had been sporadic, and was dealt with firmly, if not always in time. But with the repeated attacks on Tamils of 1977 and 1981 and 1983, which seemed to have government support not only before but also after they occurred, things got worse. Even before they left Parliament, the influence of the older Tamil politicians had waned, as they were overtaken by youngsters who made a fetish of brutality. The collegiate decency of Mr Navaratnam, and his associates such as Mr Amirthalingam and Mr Sivasithamparam, gave way to unbridled violence, which seemed to have triumphed in the first few years of the 21st century. In the interim however there had been yet another reminder of the ties that bind our communities close. My father, in Canada, as Ombudsman now rather than part of Parliament, met again Mr Navaratnam’s son, whom he had helped to get into Britain at a time when the British were less free with visas to people in difficulties than they are now. The young man remembered the fact with gratitude, just as I now recall with gratitude and affection the kindness his father showed me in 1971, at a time when differences of opinion had not been transformed through the intransigence of a few into bitter and corrosive hatred. At a time when the former TULF is still struggling to find a role for itself, some members unsure how far cooperation should go, others perhaps hankering after the polarization the Tigers so successfully achieved through killing moderate Tamils, its members would do well to think back to Parliamentarians such as Mr Navaratnam. Though he argued passionately for his people, and though his attitudes hardened with the hardening of government approaches in the early eighties, his commitment to democratic pluralism endured. I write this in his memory then, to make it clear that, as Yasmine Gooneratne remarked in ‘Big Match, 1983’, some lines were never cut.